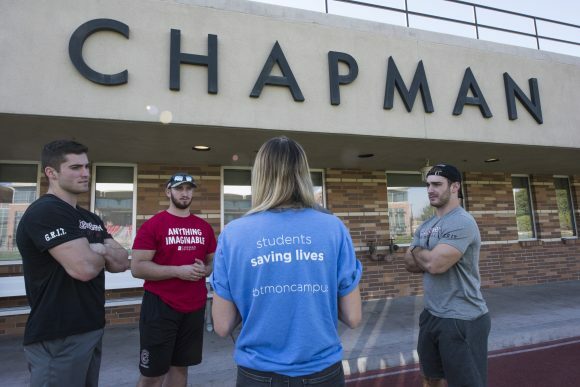 Hannah Magistrale ’19 was a first year business major dashing through Global Citizens Plaza when a friend beckoned her to a table where the Chapman University football team was hosting a drive for a bone marrow registry. Would she consider joining? A year later, she was called. Additional screening tests and procedures required facing a few hypodermic needles. Among her supporters in those jittery moments were cancer patients who happened to be in the same medical center to receive chemotherapy as she prepped for stem cell donation. A joyful exaggeration, of course. But at Chapman, bone marrow donation is almost getting to be a habit. Magistrale is the third student to be a matching donor of stem cells, thanks to the annual Be the Match drives the football team began on campus in 2014. Hannah Magistrale ’19 says the personal rewards of her stem cell donation are enduring. 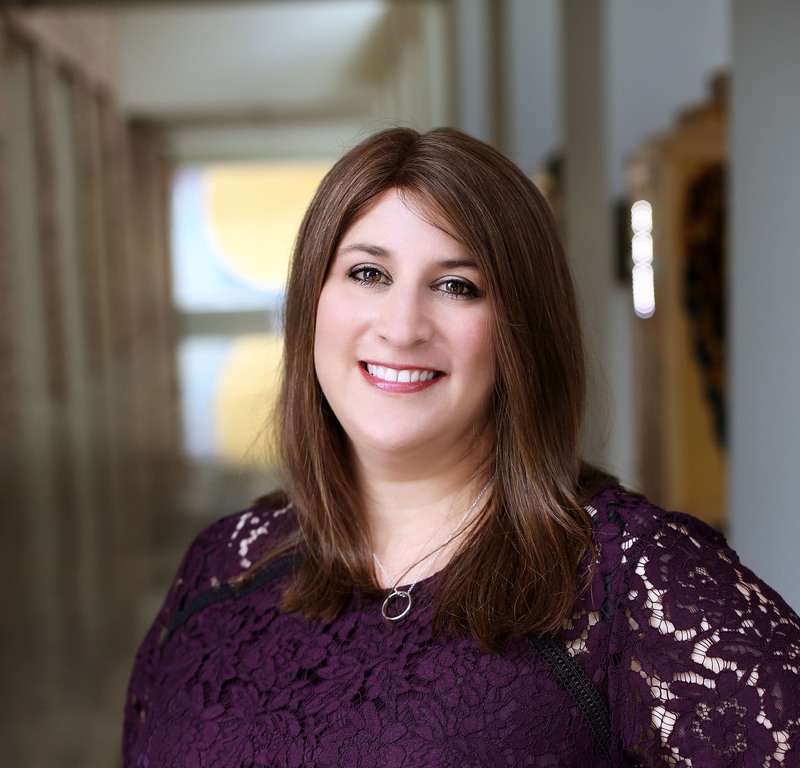 To score three donors in that time is astonishing, says Julie Meigs Korinke ’08, a Be the Match spokesperson and former community engagement representative who helped with recent registry drives at Chapman. “I think it’s a true testament to these students and their altruism and willingness to give back. It definitely makes me proud to be a Panther,” Korinke says. Indeed, there’s quite a bit of Panther Pride at work. In addition to Korinke’s contributions, Claire Bendig ’17 works as a community engagement representative with the nonprofit, and Paige Morrison ’08 helped establish the Chapman football drive. It’s important work. Every year, thousands of patients battling blood cancers and diseases like leukemia and sickle cell anemia need a transplant, and most of them don’t have a matching donor in their family. Even with more than 30 million donors on the registry worldwide, not all patients find their perfect match. Even when there is a match, some donors are ruled out because of health concerns or decline to donate. “Unfortunately, only about half of those contacted move forward with donation, which is why it is so important to make sure everyone on the registry is committed to saying yes if they do get the call,” Korinke says. Opting out never occurred to the three Chapman students who got the call that they were a match. That ardent spirit held strong even when Guttridge learned that his donation process would be more complicated. Typically, donors receive injections of a drug that helps their bodies produce more stem cells. Then their stem cells are harvested in an outpatient setting by a procedure similar to platelet donations conducted by the Red Cross. But anyone who has suffered a concussion is not a good candidate for those injections. Guttridge had played football at Chapman, and though the kinesiology major hadn’t sustained any known concussions, the injections were still a risk physicians advised against. Instead, he underwent general anesthesia for a bone marrow extraction directly from his hip, a procedure that doesn’t require injections. “I felt pretty good when I woke up. There was a little pain,” says Guttridge, who works as a physical therapy aide and plans to go to graduate school to become a physical therapist. But there wasn’t so much pain that he couldn’t devour the post-surgery tacos his father brought to his hospital room. He remembers donation day with a laugh. His grandfather lived near the San Diego hospital where he donated and came to sit with him. 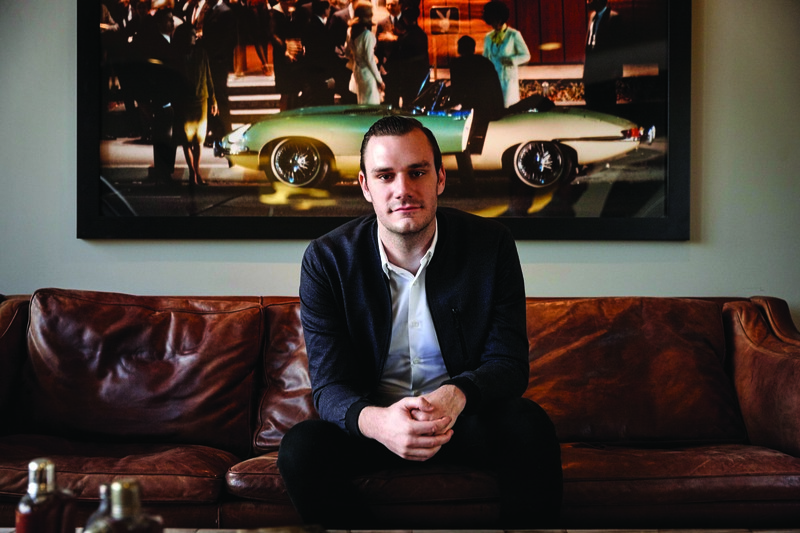 “The only uncomfortable part of the process is you have to keep your arms outstretched, and they can cramp up. But my grandfather kept joking around with me,” he says. Hannah Magistrale ’19 is the third Chapman student to be a matching donor of stem cells thanks to the annual Be the Match drives by Panther football players, including, from left, Matt Layton ’19, Alec Kohn ’19, Ryan Moles ’20 and Curt Calomeni ’19. “I don’t remember anything more than that,” she says. More enduring are the hopeful thoughts she holds for her recipient, still unknown to her. Names and details about the patients are kept private by Be the Match. There may be opportunities to meet a year or so down the road, if everyone is amenable, but no promises are made. So, for now, Magistrale encourages friends and family to join the registry and shares her story with humor, all the while thinking of that certain someone out there and hoping for the best.